Most Wednesday evenings, I facilitate classes in at the local prison. 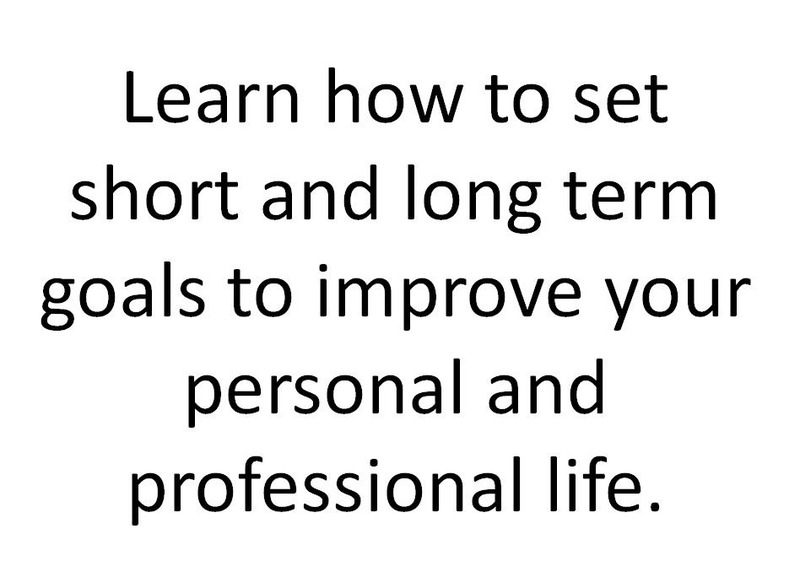 This week we are introducing a new 4 hour class on Setting Goals. Because we do this frequently at the beginning of every BPM project, it’s been interesting to simplify this process for those that may have never done any systematic goal setting. Take your first step towards achieving your goal. 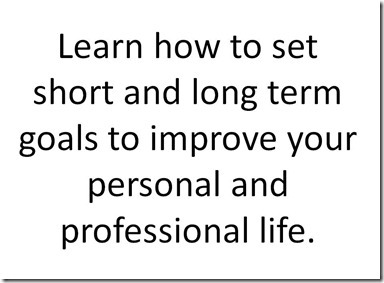 Short term goal – A goal you can accomplish in one year or less. Mid term goal – A goal you can accomplish in one to three years. Long term goal - A goal you can accomplish in three years or longer.